Pierre is the Group Managing Director and Group Head of Communications at HSBC, one of the world’s leading financial services organizations, helping people and businesses realize their ambitions. 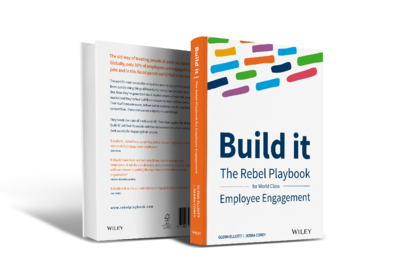 Pierre’s play is in the book, Chapter 3 - Open & Honest Communication, and is titled “Giving your employees a seat at the table”. “Creating a sense of community through communications”. Both showcase the power of communication and how rebellious approaches have made a difference at HSBC. In 2011 HSBC were facing a challenging time. They were having to deal with regulatory issues they knew were going to go public, a new management team, and a new management structure. They responded with a comprehensive and rebellious approach to communicating with their workforce, putting in place a communication strategy and programs that has had a profound on the company and its global workforce.